This newsletter is a draft. Please feel free to add content that you think will be of interest to the FlightGear community. 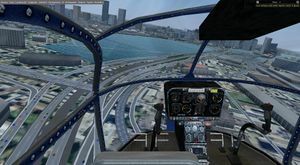 You can read the latest newsletter at FlightGear Newsletter May 2017. MapGear.py is a mapping tool for FlightGear that saves the flight path as an animated .GIF. The aim is to create a nice map projection/animation for any log file submitted. For this to happen a good degree of numerical tuning is required so the more feedback the project has from users the better. Feedback would be greatly appreciated! 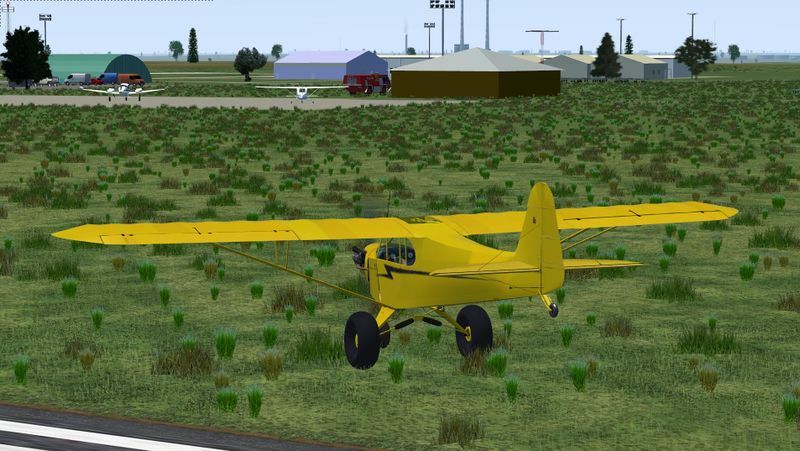 So far the program seems to be stable enough, so it is worth publishing here in the FlightGear Newsletter. It consists of a small python script and a few Geo information data files taken from NaturalEarth. Stay tuned via the announcement thread. You can see MapGear GIF output here. A new volumetric grass effect has been added to the Atmospheric Light Scattering (ALS) rendering framework using a technique known as shell texturing. The effect requires geometry shaders, which are known to be problematic on integrated Intel GPUs. This effect can also be combined with the previous volumetric grass technique based on instancing, as demonstrated by forum user wlbragg. For more information see the forum thread. System improvements and bug fixes of A320Family and Future A3XX aircraft by it0uchpods, legoboyvdlp, J Maverick 16 and Wecsje. 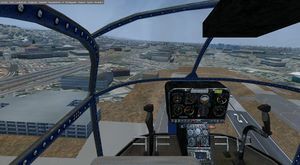 Catalanoic has added buildings and 3D objects to Boston Logan Intl Airport (KBOS) for next default airport shipped under new FlightGear 2017.2. Some other recently developed airports include Norfolk Intl (KORF) and Portland Jetport (KPWM). Recently paju1986 has created OSM buildings (Osm2city) for Portugal and Spain, including Canary Islands. 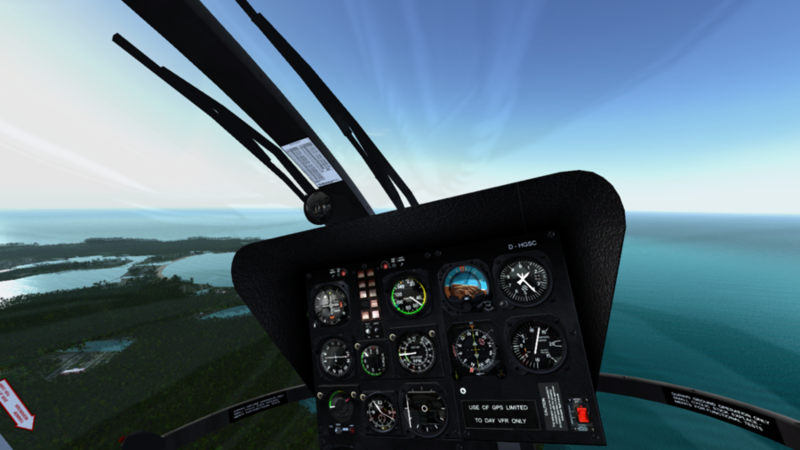 Demo helicopter tour at Ibiza with Osm2city. Furthermore, there are some other users working with Osm2city.py. 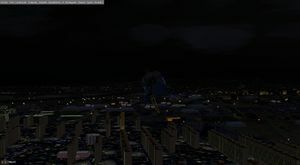 A Python script used to improve generation of urban areas for the FlightGear scenery. Buildings, roads, rail tracks, and objects based on Open Street Map real data. Developer oriented users will find interesting information in how to generate new areas in the FGWiki page of the Osm2city.py project. If you want to participate in the screenshot contest of June, you can submit your candidate to this forum topic. Be sure to see the first post for participation rules. For purposes of convenience and organization, after all the entries have been submitted, a new forum topic will be started containing all shots in an easy-to-view layout. The voting will then take place there. Once the voting has finished, the best screenshot will be presented in the Newsletter edition of June. This page was last modified on 16 July 2017, at 11:44.